Ensuring we get right the support network for British agriculture at such a crucial point in its history is going to be key, which is why the contribution from the Labour Party about extending the remit of Groceries Code Adjudicator must be welcomed as a forward-thinking proviso. 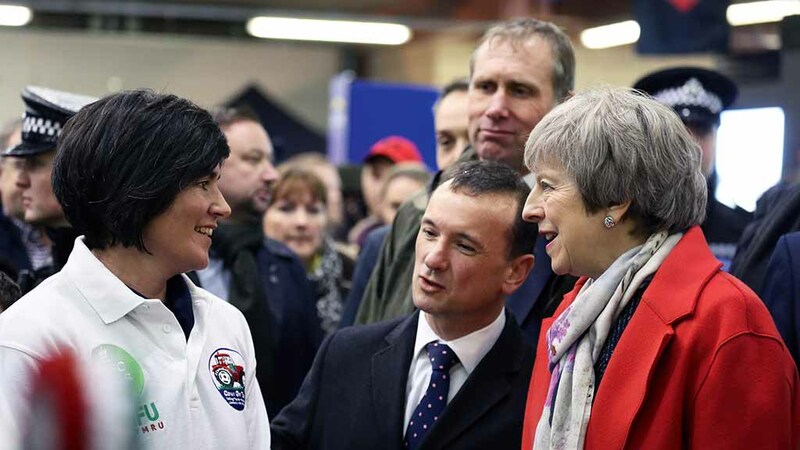 In an era of such political turmoil, however, it is difficult to judge whether the opposition’s plans will ever see the light of day or whether Prime Minister Theresa May, seen at the Royal Welsh Winter Fair this week, will keep clinging on to power. Yet whatever the policy positions of the respective parties across the UK may be, the political classes need to realise the very real impact their plans could have on farm businesses and the wider impact that has on the rural community. Mrs May is not renowned for her social skills, but even she must have realised the over-riding sense of community and culture which shines forth from events such as that at Builth Wells, and which is replicated at winter fairs and Christmas sales across the UK as the days shorten. Behind the bullish words about post-Brexit farming though, there is rising fear among some within the industry that the policy ideals of Government fail to understand the unique needs of UK agriculture. Some fear, for instance, that Michael Gove’s Agriculture Bill, which incensed many by largely ignoring food production, could result in widespread farming casualties if a new support regime fails to connect with farmers and opens the door to cheap imports. Then there are the very real problems many farmers currently face as they struggle to extract money they are still owed for environmental schemes. This does not provide confidence in the construction and implementation of future farming schemes. Hopefully on her trip to Wales Mrs May realised the vibrancy and spirit at the heart of the agricultural community and, if her Government gets the next steps wrong, the impact that could have on businesses and communities in our farming heartlands.